Replicate the technology behind the Orion Program with this set of Dwarven Rocket Boots! This is totally not an April Fools joke, it's the hot new way of travel! 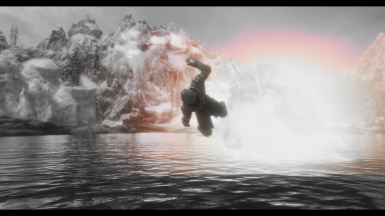 This mod grants one (1) set of Dwarven Rocket Boots. In proud Creation Club tradition, the item is deposited in your inventory when you load the mod. Equip it, select the power and blast off! The boots also protect against falls and fire.